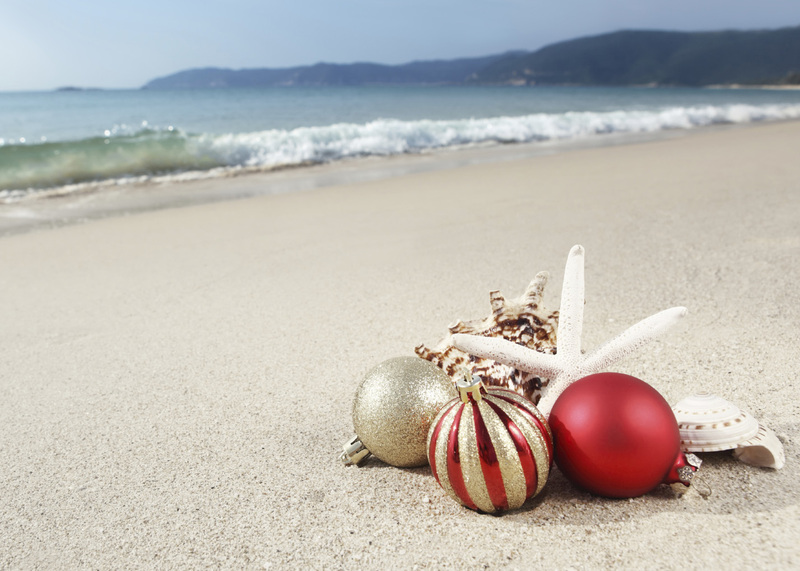 Planning a beach vacation this winter? Travelers should be aware that ultraviolet (UV) radiation from the sun plays a significant role in the development of skin cancer. In fact, about 86 percent of melanomas and 90 percent of nonmelanoma skin cancers are associated with exposure to UV rays. Skin cancer risk depends greatly on cumulative lifetime sun exposure, but melanoma has been linked most frequently to intense exposure - the kind often obtained during beach vacations. This kind of periodic, concentrated UV exposure frequently causes sunburn, and severely damages the skin. It is believed to also play a part in basal cell carcinoma, the most common form of skin cancer. On average, a person's risk for melanoma doubles if he or she has had more than five sunburns. "It's important to properly protect your skin every day, and you need to be extra cautious in very sunny conditions," said Dr. Perry Robins, president of The Skin Cancer Foundation. "Prolonged exposure to UV radiation causes premature skin aging and can lead to skin cancer." Those tempted to get a "base tan" before hitting the beach should beware: There's no such thing as a healthy or protective tan. Whether obtained by lying out in the sun or through using a tanning bed, a tan represents DNA damage to the skin. In fact, just one indoor tanning session before the age of 35 increases your melanoma risk by 75 percent. Cover Up: Clothing is your first line of defense against the sun's harmful UV rays, and it is a consistent shield that helps protect the skin. In addition, wearing UV-absorbing swimwear like wetsuits and rash guards offers extra UV protection when you're in the water. Sarongs and cover-ups offer additional protection on shore. Shield Your Face: Sunglasses that filter out the sun's UV rays will help protect your eyes and eyelids from conditions including cataracts, while a broad-brimmed hat (with at least a 3-inch brim all around) will help protect the top of the head, neck, face, ears and scalp. Beware of Reflection: Water and sand reflect the sun's UV rays, adding to the intensity of exposure. Apply Sunscreen: Using a broad spectrum (UVA/UVB) sunscreen with an SPF of 15 or higher every day is crucial. For extended outdoor activity, use a water-resistant, broad-spectrum sunscreen with an SPF of 30 or higher. Apply one ounce, or two tablespoons, every two hours or immediately after swimming or sweating heavily. Seek Shade: During peak sun hours (10 a.m. to 4 p.m.), keep covered under a large sun umbrella. It's best to hit the beach early in the morning or late in the afternoon. You'll avoid the crowds and save your skin. Avoid Tanning and UV Tanning Booths: Whether you "lay out" or visit a tanning salon, there is no such thing as a safe tan. Tanning increases the risk of developing skin cancers, including melanoma. In addition, tanning leads to premature skin aging, including wrinkles, leathery skin and age spots.